Medicinal mushrooms have been used around the world for millennia. In fact a 4,000 year old mummy was found with birch bracket mushroom, prized as a parasite killer, in his medicine kit. Egyptian hieroglyphics show mushrooms as the plant of immortality, the Vikings are thought to have eaten hallucinogenic mushrooms before battle, to produce the ferocious fighting state they are noted for. The Aztecs had sacred mushrooms called “the flesh of the gods,” which they consumed in holy rituals, and ancient Chinese valued reishi as the king of herbal medicines. There is much to be said about medicinal mushrooms, but let’s spotlight chaga and reishi, as these two star in Mushroom Immunity. Chaga is exceptionally good at boosting and regulating the immune system. It does this by activating special cells called lymphocytes and macrophages, which causes an increased production of cytokines. Cytokines are the messengers of the immune system, so having more of them means a boosted immune system as part of what they do is organise white blood cells to fight infection. So, when you think chaga, think a more robust immune system that is ready to protect you against infection. Reishi is a great brain food. 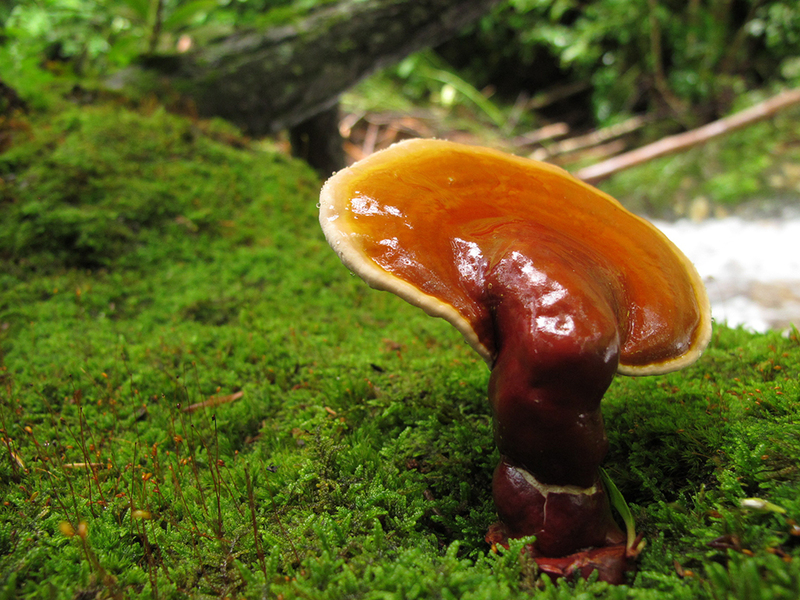 Scientific studies have found that reishi reduces oxidative stress in the brain, and not only protects from damage, but can actually reverse it. It’s also been shown to help stabilize moods, alleviate insomnia and improve sleep. It does all this so well, because it was similar properties to antidepressants, so it naturally reduces stress and depression. As well as Chaga and Reishi, Mushroom Immunity also boasts an impressive array of other medicinal mushrooms. To name a few, Lion’s Mane, Cordyceps, Turkey Tail, Shiitake, Maitake, Enoki, Willow Bracket and many more. Check out the full list here. How to Take Mushroom Immunity? You can mix Mushroom Immunity with water, juice, nut milk, soups or smoothies. We recommend mixing it with hot water to replace your morning coffee. You don’t need to worry about the heat of the water impeding the potency of the mushrooms! Start with one quarter of a teaspoon once or twice a day. Then, over a month increase this to one or two teaspoons up to three times a day. We recommend you take it consistently for 3 weeks at a time and then take a week off. This entry was posted in Hannah's Blog and tagged alkalize, chaga, cleanse, detoxify, diet, hannah's blog, herbalism, holistic, immunity, medicinal, medicine, mushroom, new product, reishi, superfood. Hi guys, are there any reviews on this product? Is the effect instant like drinking a coffee or is it more a sustained alertness over time?